WOW these cards are big! WOW these cards are big! 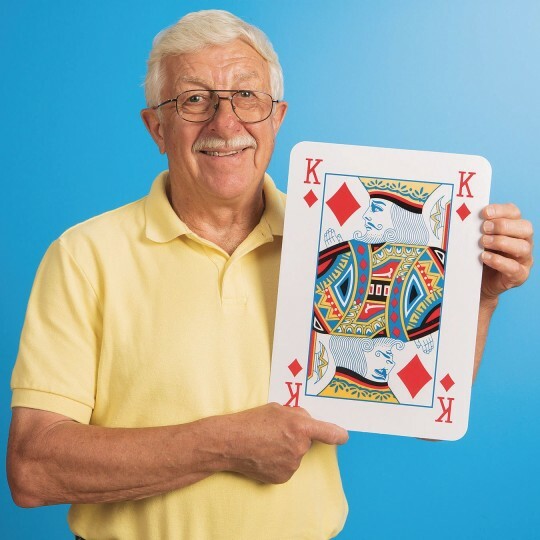 Our largest cards ever are 10-1/2"W x 14-1/2"H. Standard deck of 54 playing cards and 2 jokers are made of heavy-duty cardstock coated on both sides. 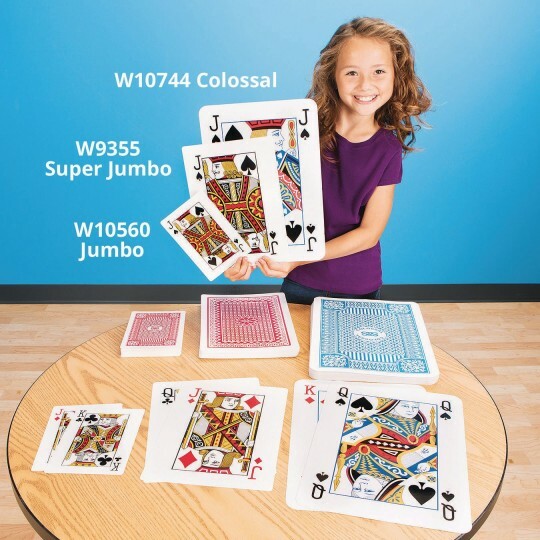 Big cards = Big Fun! 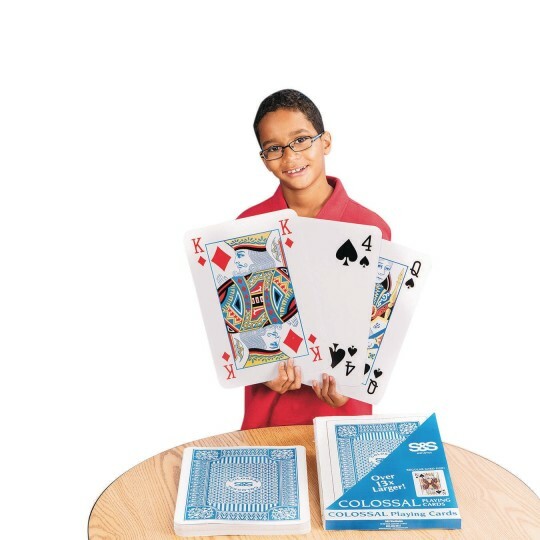 love the big blue cards. we had a red set and NEEDED these! 1 set for two sisters. One sister posted photos playing with her grandchild and sister-in-law. She LOVED THEM! So did the kids!2. 2nd set for another sister who can't wait to play when camping with friends! Using for a 1980's throw back game of Card Sharks!